This stuff makes me pretty happy to see people make. Sure, the Pi laptop has been done before. But as people keep at this, I hope we start progressing towards more capable and more open hardware that people without a ton of EE knowledge can tailor build portable systems for themselves. We’re getting close to that point. It takes a day to learn basic 3d modeling, and you can do it for free online. Many public libraries are starting to carry 3d printers, and even if that’s not available, there are plenty of maker shops that rent out printer time. Single board computers, batteries, screens are all relatively cheap and easy to come by. I can’t even imagine what it would have taken just 5 years ago to build a custom system. Seeing how the Pi keeps increasing in speed while staying the same price while also looking at the sub $100 SBCs learning from the Pi’s software model is very nice. I hope we’ll get to see stuff approaching top end SoC performance before too much longer. I also hope these projects can help get us back to, if not open hardware, things that are at least based on open standards. While a machine that is a collection of chips is hardly portable, there is something to be said for systems where you could mix and match parts rather than an SOC that has everything, but means you replace the board/SOC when you are after new or updated capabilities. A notebook that is only a host for wide wariety of SBC would be fantastic. You keep the housing and screen and replace only processing unit. PiTop is quite close to that. I know size limits dictated by scb size but keep dreaming. I really like this project. I think it’s pretty FN cool. Love the leather cover. I have some spare time, parts, old 8.9 inch acer screen just need a new controller board. And a raspberry pi zero w. Might give something similar a try. Yes, but this is HAD, where the idea is to build stuff yourself. Genetic engineering is going to be so much fun. I think you might be on the wrong website. The pi-top is $330! These days you can get a brand new mid-range laptop for that price. Don’t get me wrong, I love the IDEA of the pi-top but I would NEVER buy one. The price is unrealistic! It’s like a full-priced laptop with the performance of a $35 computer. So some bundled educational software? Big deal! Educational software is a free download to a “regular” pc. Would you spend $660 on the parts for this project? Do you have any parts in your junk-bin at all? Do you have any shopping skills whatsoever? I just don’t see what you are thinking! I think a lot of the pi-tops are sold to schools and other educational places. Kind of defeats the purpose of having a cheap computer for schools. Buying something isn’t 1/10 as satisfying as building something. Raspberry pis are so inexpensive, it baffles me why people pick pi zeros. Desperate to save 20 dollars? That extra speed and power is so cheap, pi 3 is always the way to go even if you’re going to exist in the command line. The pi zero is significantly smaller and uses about half as much power. Both of these things mean that sometimes it is more suited for a project than the full Pi 3. Completely agree. Using a Pi0 instead of a 3 essentially doubles battery life in most cases. For many, many projects, even the relatively underwhelming processing performance of a 3 is major overkill. If you’re just sshing into other boxes, there’s absolutely no need for more processing power. Very cool looking laptop! I also like the Pi Top but this has waaaaay more nerd street cred. I find myself wondering about a Pi 3 upgrade and how it would affect heat, power consumption, and battery life. I love the console font change, it reminds me of Gauntlet :) sakko303 needs a Pi laptop, badly! No written article? Do we really have to watch 3 video , even though already sped up? Hackaday.io? You mean like the site that’s linked to in the first paragraph? 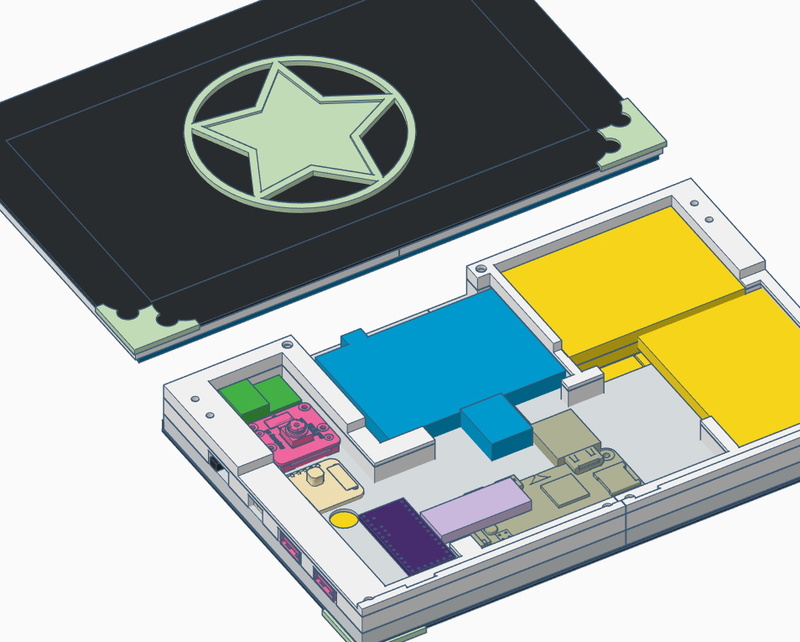 Holy Stuff I’m on Hackaday! Really weird to load up the page to see what’s cool and suddenly be looking at something you made. Thanks for awesome write up Tom!